Fitbit Charge 2 Tutorial : How to Navigate, Wear and Recharge - The Charge 2 Fitbit is a sleeker, more stylish fitness band which is designed with a slim, affordable, versatile fitness band that you can take from the gym to the office to after-work drinks without looking like an overzealous weirdo. 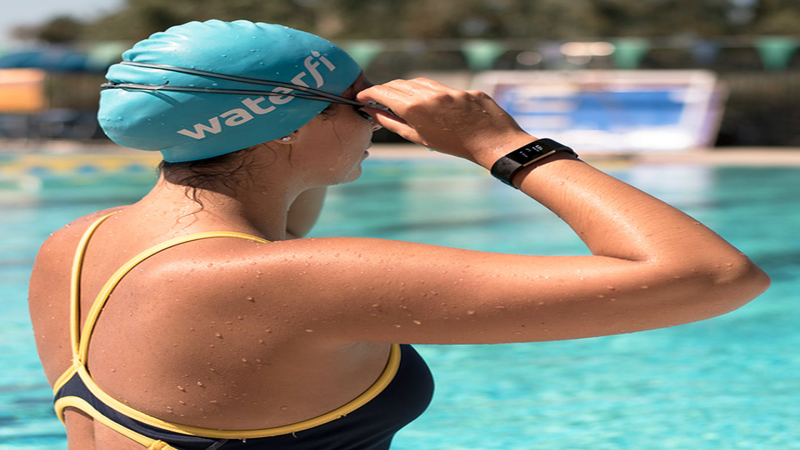 If you have purchased Fitbit Charge 2, this tutorial is important for you to know more about how to wear, navigate, and recharge Fitbit Charge 2. This tracker is more stylish with its interchangeable bands according to occasion. Therefore, you can buy an accessory Fitbit wristband to suits your fashion style anytime you want. This Fitbit Charge 2 tutorial will also tell you how to take off the original band and put on a different one. For the first step of how to wear, navigate, and recharge thr Charge2, we have Fitbit Charge 2 Tips for choosing the wrist to wear the tracker. 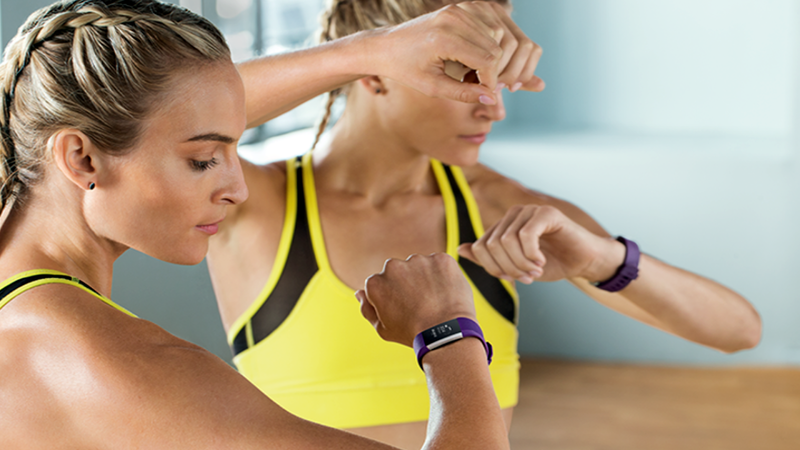 If you want to get the most of Fitbit features, you have to wear the tracker on your dominant wrist. 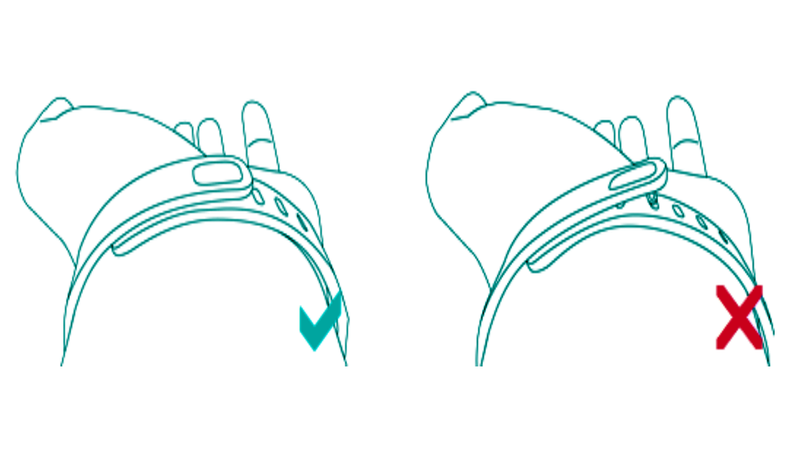 Therefore, for greater accuracy and ease of use, the Charge 2 needs to know which wrist you wear it on (right or left) and which hand you consider dominant (right or left). Your dominant hand is the one you usually write or throw with. When you are setting up the tracker, you were asked to choose where you are going to wear Fitbit Charge 2. Place your Fitbit Charge2 around your dominant wrist. The top of the tracker is the side with the charging port. The top of the tracker is the side with the charging port. You need to ensure that this side with charging port is on the outside or top of your wrist. 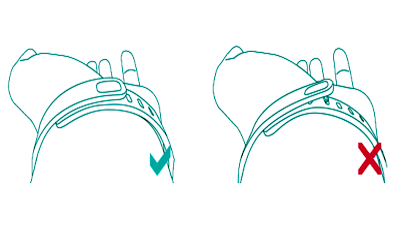 Align both ends of the wristband so they are directly overlapping each other with the clasp over the two holes that best fit your wrist. After that, squeeze both the clasp and the wristband between your thumb and forefinger until you feel it snap into place. Make sure that your Charge 2 wristband is securely fastened when both pegs on the clasp are fully inserted. Do not wear Fitbit Charge 2 too tightly. Here is the next step of how to wear, navigate, and recharge Fitbit Charge 2, we have tips for choosing the wrist to wear the tracker. Fitbit Charge 2 is not only designed for style, but also for helping you track your health with ease. It has an OLED tap display that can be oriented horizontally or vertically. Turn your wrist towards you. This behavior, known as Quick View, can be turned off in your tracker settings. If you want to flip through your stats, you can single-tap on the Fitbit Charge 2 display. The stats shown on the display include steps taken, distance covered, calories burned, and active minutes. If you want to get the best result, tap your tracker where the display meets the band. Double-tap to wake up the tracker, and single tap to flip through your stats. Note that Charge 2 doesn’t respond to swipes, that is why it must be tapped. Finally, the last section of this Fitbit Charge 2 tutorial about how to wear, navigate, and recharge Fitbit Charge 2 will tell you everything about recharging the tracker. This Fitbit has a battery life up to 5 days after it is fully charged. This Fitbit Charge 2 battery life and charge cycles vary with use, settings, and many other factors. The tracker will show a low battery icon if your battery is low whenever you tap your Charge2 Fitbit to flip through your stats. And when you see a critically low icon on the display, you won’t be able to flip through your stats anymore. When this notification is displayed on your tracker’s display, it means you have to charge it soon. If you want to charge your Fitbit Charge 2, you have to plug the charging cable into the USB port on your computer or a UL-certified USB wall charger, then clip the other end into the port on the back of the watch . Make sure that the pins on the charging cable is lined up with the charging port on the Fitbit Charge 2 and securely locked into place. You will know the connection is secure when you see a battery icon on Fitbit Charge 2’s display. It takes about one to two hours to charge the Charge 2 fully. While the tracker charges, you can tap it to check the battery level. A solid battery icon will appear when your tracker is fully charged. If you haven’t set up your tracker, when you tap it you will see a message directing you to Fitbit official site, asking you to set up Fitbit tracker.